Welcome and ribbit (frog for "howdy"!) 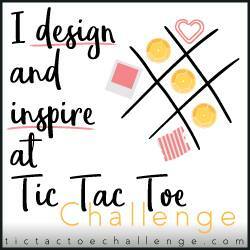 It's time for another awesome Tic Tac Toe Challenge and this new inspiration board is chock-a-block with fun ideas! Kermit's song, "It's Not Easy Being Green", immediately came to mind, so I grabbed Lawn Fawn's new set called Toadally Awesome and set to coloring. If you've visited my blog recently, you'll notice this card's layout is similar to the set of Valentine's cards I made in Mindy Baxter's class. 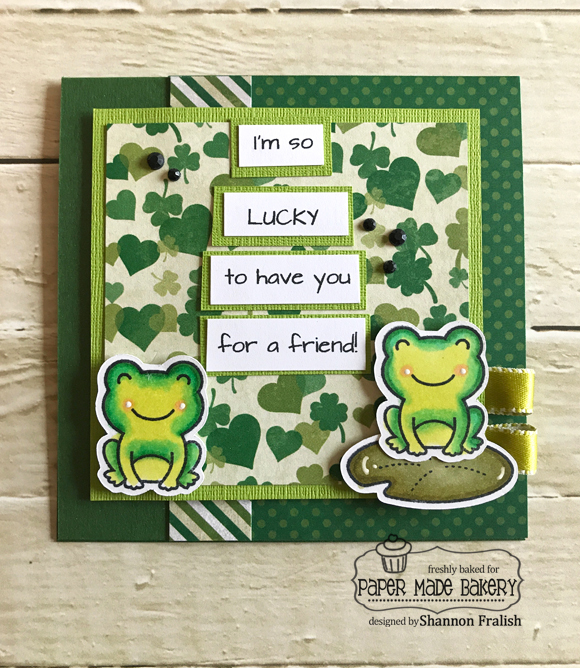 I was just smitten with those little square cards, so I altered this to a 4.25" square and used papers from Authentique's collection called Shamrock. 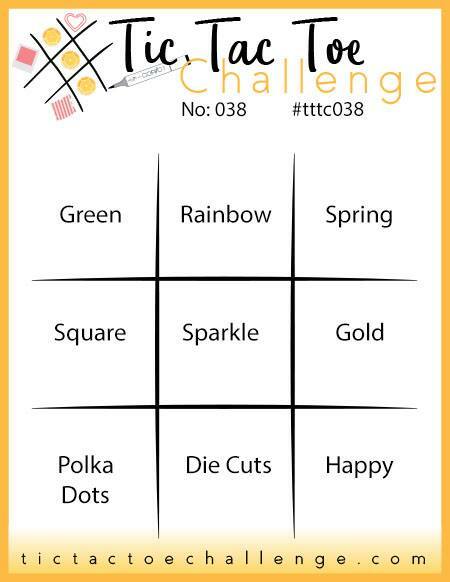 Now, for even more card making inspiration using this week's board designed by Claire Broadwater, head on over to the Tic Tac Toe Challenge blog! I guarantee you'll scurry to your own craft space and break into your supplies. Don't forget to snap a photo and link it to this week's challenge post.